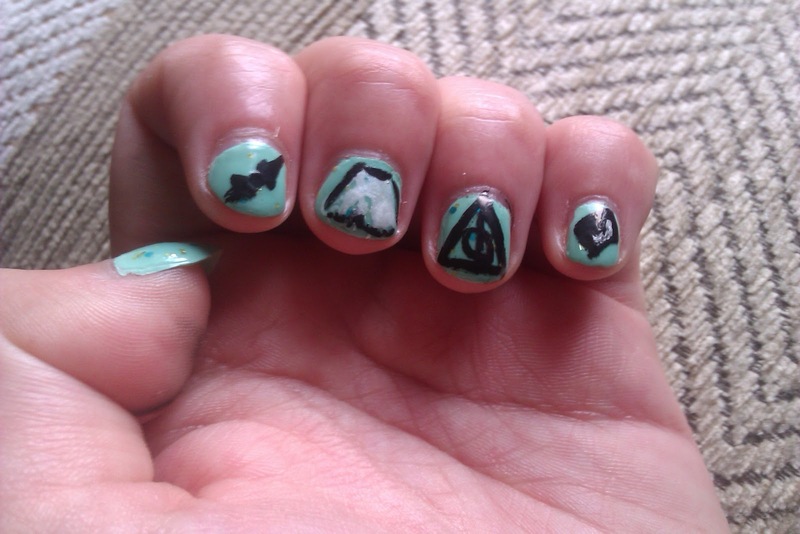 So here is the last set of nails for the Harry Potterthon challenge. 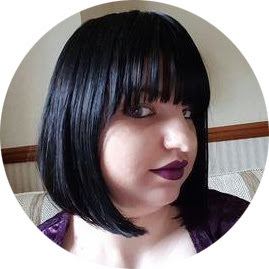 I have had super fun doing it and want to say a big thank you to the wonderful ladies who took part with me. Tomorrow I will show you some of their amazing work! 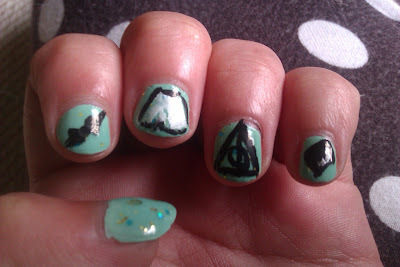 Till then settle yourselves with these nails based on The Deathly Hallows. I am not going to give you a summary of this book because, this just ties up all the questions in the series and ends perfectly and you need to read it for yourself. I agree that the camping section (the first half) is a little drawn out but it is totally made up for in the second half when Harry goes back to Hogwarts. I was sceptical when WB said that this book would be split into two films, yet DH part 1 (the camping section) is actually really well done. I love the tone, dark, creepy and foreboding and then the second film just hits you over the head with action scene after action scene. I cried again when reading this book and would you when all those lovely characters die? And Snape! I know everyone says it in hindsight but I was team Snape all the way! The only thing that still annoys me even after re-reading the book countless times is the Remus/ Tonks thing. Why was our lovely moony going to just up and go and leave Tonks ( and unborn baby Teddy)? Why didn't he want to marry her? And then the both died? What?!? 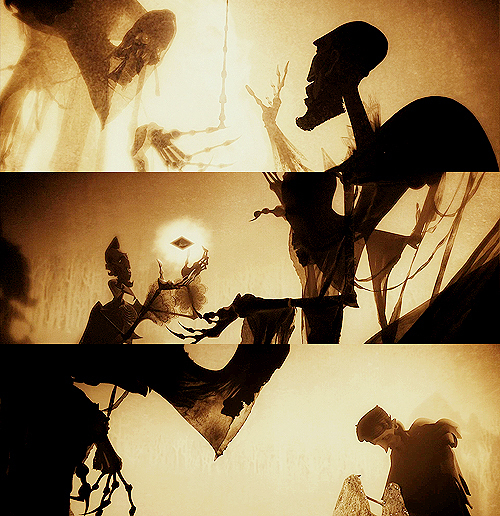 It is seems so out of character from the Remus we love! This manicure shows the three Deathly Hallows, the Elder Wand, the Cloak of Invisibility, the Deathly Hallows symbol and on my pinkie the Resurrection Stone. 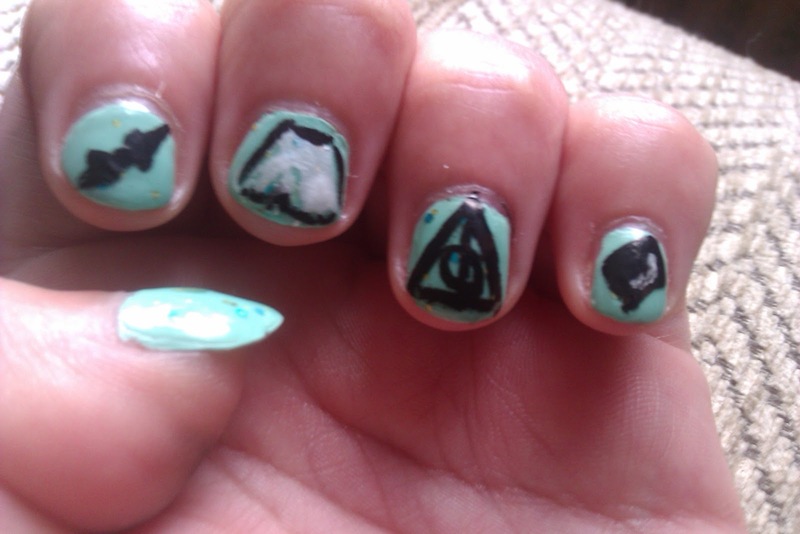 For this used Essence nail art pens in sparkly balck and white over a base of Models Own Jade Stone. I just had to use green for this manicure, that scene where Snape dies looking into Harry's green eyes brings tears to my own eyes every time. 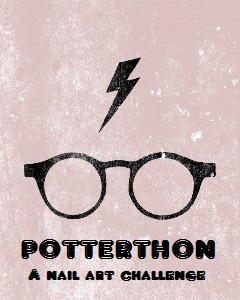 So there we go, Potterthon is over. I love the background color on this! Gorgeous!